Footballers and motorbikes don’t usually go along but, there are several famous footballers on their own rights who have good linking with motorbikes. And they are not just any ordinary bikes. The footballers whom we are gonna talk about in this articles have got such bikes which are no less than their owners name in popularity. Whatever, let’s pay a visit into the footballing world and see the players who have real love for motorbikes. Whenever football and motorbikes come together, there is one name for sure and He is none other than David Beckham. Beckham was a former England, Manchester United, Real Madrid, AC Milan player. He was also England’s captain for some years. 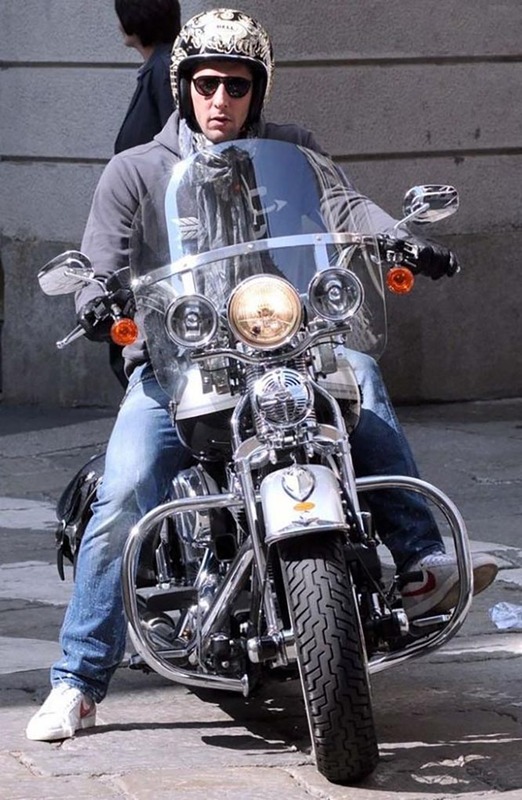 It is beyond doubt that the most famous footballer to having connection with motorbikes is David Beckham who have played at 2000 and 2004 Euros and certainly have an illustrious football career. Beckham’s interest on motorbikes first came into public while he was at the ending phase of his career in LA Galaxy in Los Angeles, America. He was often seen riding his custom made Harley Davidson- knucklehead motorbike in the roads of Hollywood hills. He also appeared in a 90 minuter documentary filmed by BBC named “Beckham into the unknown” when he along with some friends and group of people had ridden deep into the Amazon jungle riding on their customized Triumph Bonnevilles. This deadly striker of Sweden who has played for different royal clubs of Europe such as Ajax, Juventus, AC Milan, Barcelona, Inter Milan, PSG, Manchester United and won many trophies for these clubs is now a free agent. he played for Manchester United in the last season and won the Europa cup for them and scored no less than 28 goals that season. He is simply amazing. Whatever, he is also known as a motorbike lover and also a part time biker. Back in the year of 2008, while this gypsy player was playing for Inter Milan he came in interaction of a picture of then brand new Harley-Davidson VRSCF V-Rod Muscle motorbike.He then instantly contacted with Harley- Davidson office in Stockholm, Sweden and ordered a special customized all black version of the motorbike. Harley Davidson company said in a statement that Zlatan Ibrahimović was the first man to buy that bike in the whole Scandinavian zone. If you type the name of the current England captain and “Harley” together in google and search then you will get some serious motorbiking connection of them two. In 2012 this English forward approached to a danish motorcycle customizer named Lauge Jensen who was working on a project for a charity aid. 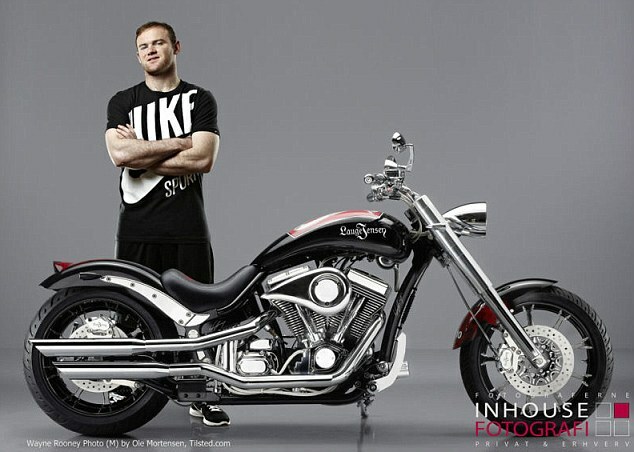 So, Wayne Rooney literally wanted to get involved into the motorbike desgingnprocess and he ended up making a design of a Harley motorbike which was encrusted with diamonds. Whatever, it was a charity project and this bike of Wane Rooney was sold at a auction at £109,000. Marco Materazzi was one of the key player of Italy’s 2006 world cup winning side. He played for Inter Milan for a long 10 years span, in which he has capped a total of 209 matches. Whatever, if you have never heard of him, then just remember the 2006 Fifia world cup final where Zinedine Zidane famously head-butted an Italian player. The Italian was none other than Marco Materazzi. It is a rumor that Materazzi had used some bad language regarding Zidane’s wifea and short tempered Zidane could not resist himself from headbutting him. Actually, Materazzi never had a good boy reputation throughout his career. And this reputation goes very well with being a fan of a Harley Davidson as he owns a Harley Davidson Motorbike. Besides, at Milan motorcycle show in 2006 Materazzi tried a MV Agusta Brutale 910R when Harley Davidson said that they will buy Italian motorcycle maker group MV Augusta. 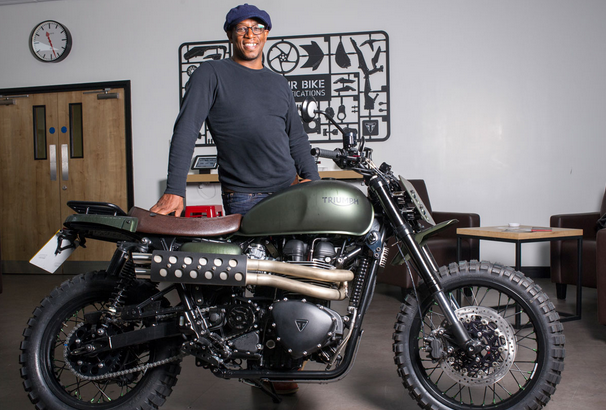 Former England and English club Arsenal superstar Ian Wright who currently is a BBC football pundit who was seen giving analysis in 2016 EURO regularly, is also a dedicated motorbike lover. 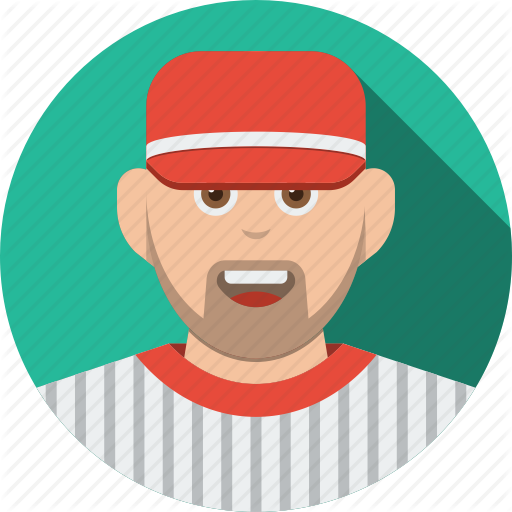 He retired from football in the year of 2000 and after that he forged a successful TV career in a show named “Friday Night’s All Wright”. And most apparently he fulfilled his long cherished dream of riding motorbike from coast to coast of America with his Harley Davidson. Whatever, he has not given up motorbiking. he regularly rides motorbike till now.